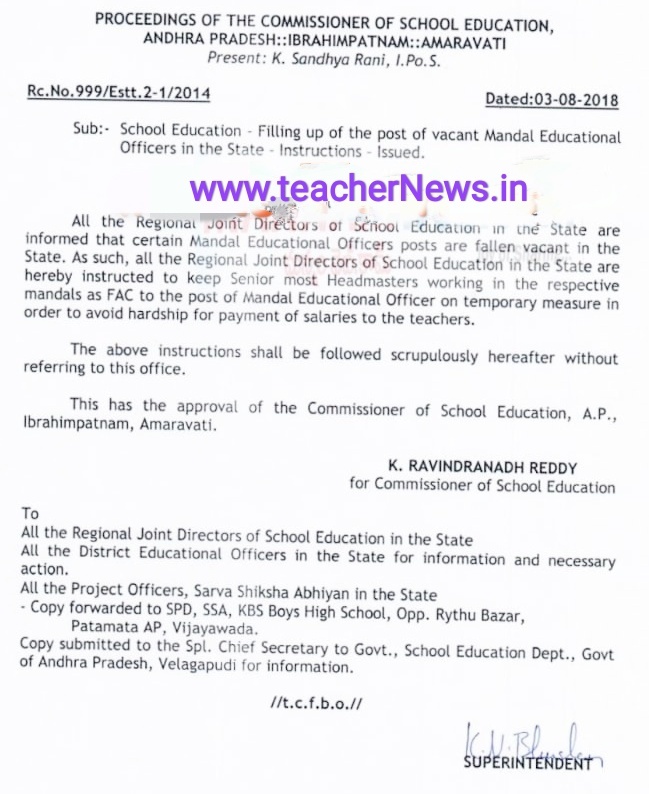 Al the Regional Joint Directors of School Education in the State are informed that certain Mandal Educational Officers posts are fallen vacant in the State. As such, all the Regional Joint Directors of School Education in the State are hereby instructed to keep Senior most Headmasters working in the respective mandals as FAC to the post of Mandal Educational Officer on temporary measure in order to avoid hardship for payment of salaries to the teachers. 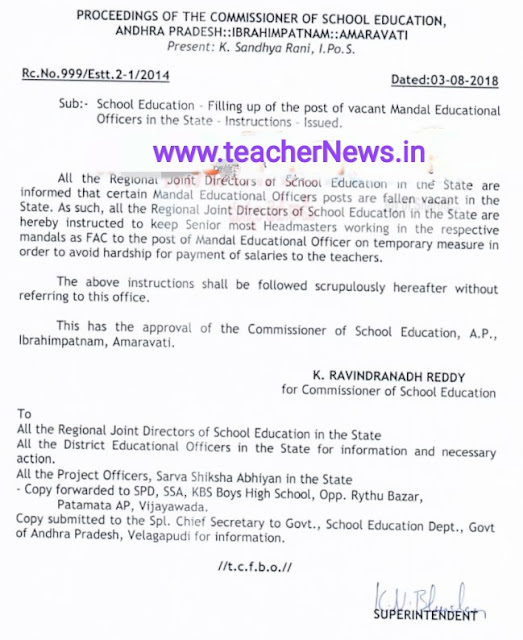 AP Vacant MEOs post fill keep Senior most H.M working in the respective mandals as FAC to the post of Mandal Educational Officer.